I love my brown brothers and sisters. Yet as I scour my own upbringing, I see how my words and actions have betrayed otherwise. It is a systemic wrong, but also a personal one I cannot deny. betray you with their words and their actions. I am the one who has betrayed my brown brothers and sisters in subtle but undeniable ways. I’ve snickered at ebonics and rolled eyes at names so obviously from a community other than my own. I failed to see names as a way of resistance, a refusal to be assimilated–names as a claim to another place and culture thick with meaning and the power to shape. I remember laughing (in the privacy of my home) at Kwanza. Instead of seeing people reaching back through history for connection and a celebration with distant kin, I turned my face away and mocked. Grabbing from so many different African traditions to try and create one festival seemed like grasping for the intangible. So I shook my head. Instead of being open to the possibility that some of that tradition from their motherland would offer nourishment, offer hope, offer God With Us in a way my white Christmas never could. 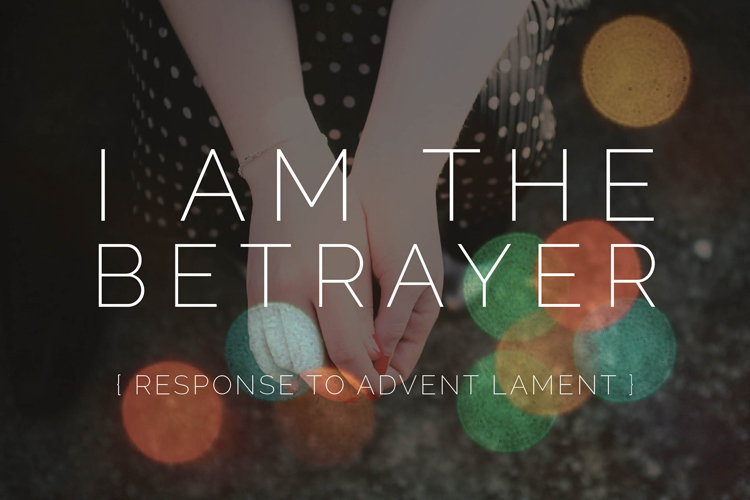 I betrayed my brothers and sisters when they deserved my love in word and deed. Read the rest of my response, this lament, over at SheLoves Magazine.